Recently adopted 21st Century goals stress the importance of preparing students for a globally competitive society by providing them with opportunities to develop skills in global literacy, problem solving, innovation, and creativity. These goals create a challenge for teachers to move beyond traditional beliefs about teaching and learning in order to implement new technologies and teaching strategies in the classroom. This chapter provides a brief overview of the process of blending a new technology into the classroom setting. The process involves selecting the new technology, learning how to use it, and using it in the classroom. As a specific example, this chapter describes how a NSF-funded project, entitled Using Squeak to Infuse Information Technology (USeIT), is helping teachers learn how to use a new virtual modeling technology, Squeak Etoys, and use it in their classrooms. The teachers have learned and used Squeak Etoys in a way that works best for them and their students. They have created models and problem-based learning (PBL) lesson plans correlated with state curriculum standards. Teachers have a significant responsibility when it comes to preparing their students for the future. This is a future beyond statewide testing initiatives and the upcoming school year. Some states have adopted standards focusing on preparation for the 21st century. The guiding mission of these standards is that every public school student will graduate from high school globally competitive for work, postsecondary education, and prepared for life in the 21st century (Partnership for 21st Century Skills, 2007). Teachers hope that they are preparing their students for their future, but this is a lofty task considering that a number of current teachers were schooled in a time when technology was not so prevalent and the practice of teaching was much different than it is today (Ertmer, Addison, Lane, Ross, & Woods, 1999; Sarason, 1996). In other words, teachers were not taught in the manner that they are being asked to teach today. This creates a challenge for teacher educators, because research has shown that pre-service teachers often revert to the way they were taught once they enter the classroom (Cooney, 1985; Raymond, 1997). Thus, the challenge is for teachers to move beyond traditional beliefs about teaching and learning in order to implement new technologies and teaching strategies in the classroom. This is easier said than done. Research has shown that teachers are tested when learning new technologies and face more challenges when implementing the technology in their classrooms (Ertmer, 1999; Russell, 1995). 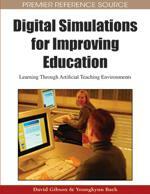 This chapter provides a brief overview of the process of blending a new technology into the classroom setting. This process involves selecting the new technology, learning how to use it, and using it in the classroom. As a specific example, it describes how a NSF-funded project, Using Squeak to Infuse Information Technology (USeIT), is helping teachers learn how to use a new virtual modeling technology, Squeak Etoys, and use it in their classrooms. This chapter also explains why Squeak Etoys was chosen for the project, how to create a model using it, how teachers have learned to use Squeak Etoys, and how it has been successfully implemented in the classroom. The chapter concludes with a discussion of emerging trends and suggestions for future research.